You only get one opportunity to launch a brand. As marketers, that's our dream. 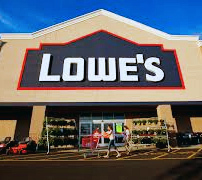 And when it comes to Lowe's, we did it right. One home-improvement titan. One home-appliance giant. 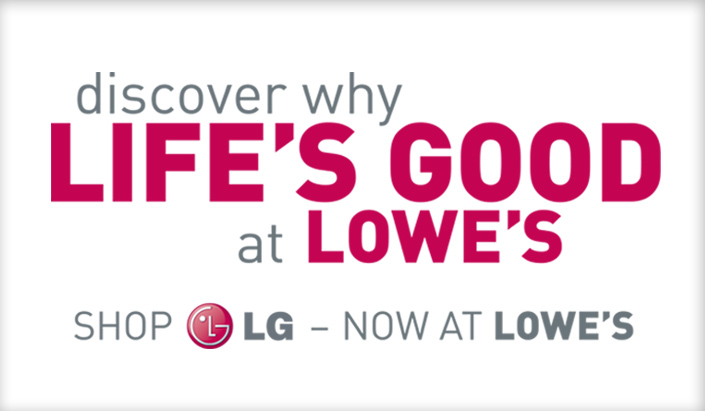 A partnership between Lowe's and LG makes sense—but making it a real success meant bringing LG's brand to life within the well-established world of Lowe's. LG already had a strong presence in big stores nationwide. Achieving—and maintaining—that same performance within a new retailer required careful navigation of each brand's unique guidelines and goals. 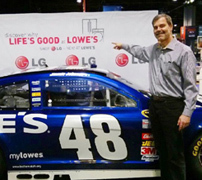 The "Discover why life's good at Lowe's" lockup was the first visible symbol of the partnership. Used across multiple touch points, it integrated key LG elements into an overarching launch thematic that honored both brands while announcing LG's arrival. David VanderWaal, Head of Marketing: LGE-US, sent us this shot of his visit to the LG Fan House at the Final Four in Atlanta, knowing we'd enjoy seeing the Lowe's lockup in action. A launch this big demands a big first impression—and what better place to make one than right at the front door? 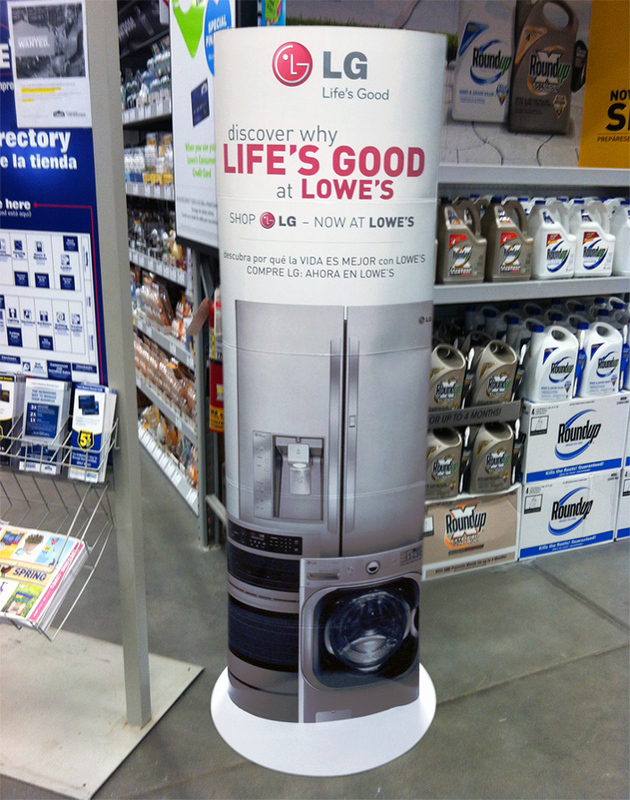 This 6-foot tall 3D tower did just that, making it known that LG appliances were now available at Lowe's from the moment shoppers stepped inside. It pays to keep an eye out for innovative ideas. 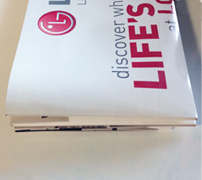 The patented Lamà pop-up display folds flat, making it cost-effective to ship and foolproof to install. When it comes to the sales floor, it's all about creating an experience. Vibrant endcap displays developed by LG and the Lowe's team were outfitted with North Forty-created attract loops—custom videos that were concepted, scripted and enhanced with original music composed in-house. On the appliances themselves? Engaging point-of-purchase materials calling out each product's key features and unique benefits. Together, these pieces caught the eyes—and ears—of shoppers, helping LG establish a dominating presence on the floor. ¿Habla español? 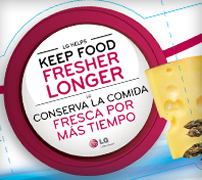 Since Lowe's in-store marketing guidelines require English and Spanish content on all point-of-purchase materials, we worked closely with Lowe's' preferred vendor to translate LG's messaging on each piece. 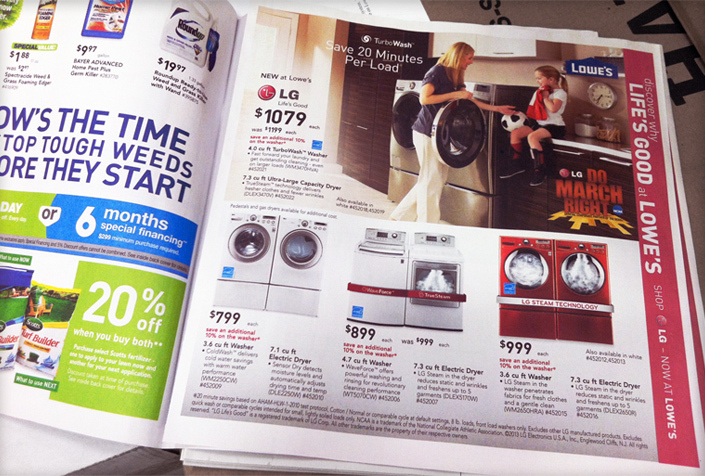 Lifestyle imagery was selected to bring a more branded feel to Lowe's weekly circulars while infusing each layout with LG's key messaging, feature hierarchy and signature color. "Iconics" outfitted with distinctive red bands resemble actual point-of-purchase pieces found on the sales floor, creating instant recognition from circular to store. 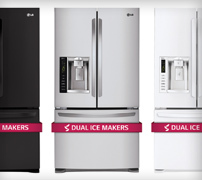 Developed for use across multiple retailers as well as LG's own marketing materials, iconics help separate LG from other home appliance brands in print, on the Web and in crowded retail environments. 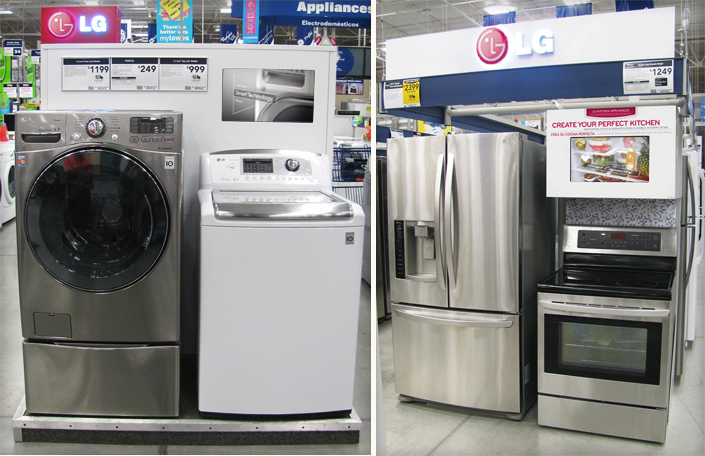 The multi-faceted rollout of LG appliances at Lowe's proved to be one of their most successful partnership launches to date, resulting in better-than-anticipated growth and a healthy share of a new retail partner's floor. "I've been a part of some significant launches at major retailers, and by far, this was one of the best brand launches we've had," said David VanderWaal, Head of Marketing: LGE-US. "We made it special. We made it known that LG was a brand to be reckoned with."